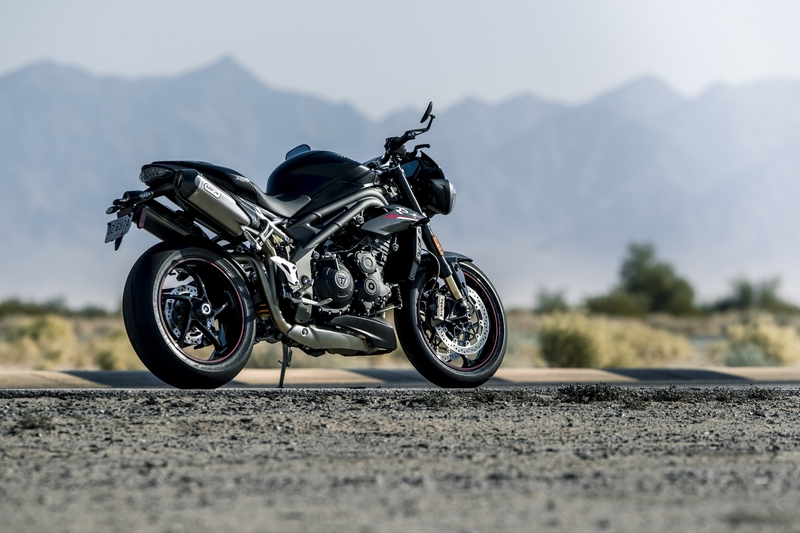 After two different teaser videos, Triumph has finally, officially pulled the wraps off the new 2018 Speed Triple S and Speed Triple RS which replaces the Speed Triple R at the top of Triumph's line of "roadsters." They have all of the improvements we could ask for in an updated performance naked bike including a thoroughly updated engine with more power and torque, more advanced technology including a full-color TFT screen, lighter weight, and refreshed styling. 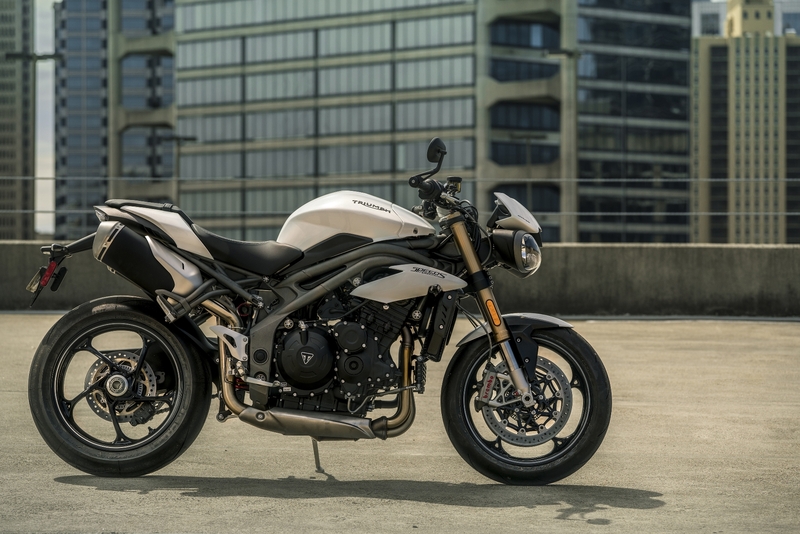 "Pricing will be announced on Feb 19th," said a Triumph representative in an email to The Drive. "We expect availability in May." 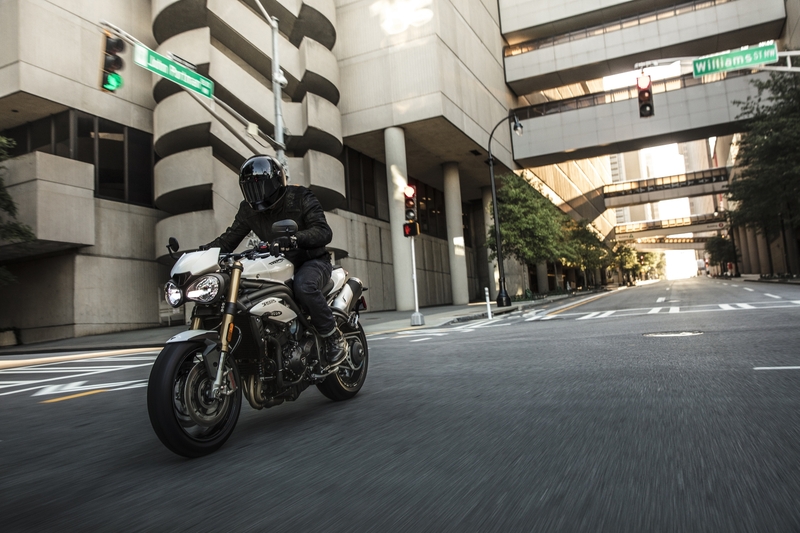 The Speed Triple S and RS share a liquid-cooled, 12 valve, DOHC, 1050cc inline-three engine with 105 new engine components designed to boost performance, add lightness, and deliver smooth, linear power delivery. Horsepower is up 7 percent to 148-hp and torque is up 4 percent to 86 pound-feet. The new Triumphs dropped 7 pounds compared to the previous models. These numbers might sound small, but it’s an improvement of an already excellent motorcycle. More power and torque and less weight is always a good combination. Triumph is touting a good new sound for these bikes which we’ve been able to hear in the promotional videos. These lovely sounds come out of a new freer-flowing exhaust system capped off with Arrow sports silencers that are standard on the RS. A faster spinning engine mated to performance exhaust makes for a sound that will make you never want to let off the throttle. There are technological improvements that go beyond just the pretty new screen, which is a big improvement over the previous gauge cluster. Five selectable riding modes, improved cruise control, switchable ABS and traction control, and a USB charging point come standard on both bikes. Upgrading to the RS model will get you more tech like optimized cornering ABS and traction control, keyless ignition, and Triumph Shift Assist which allows smooth shifting without using the clutch. 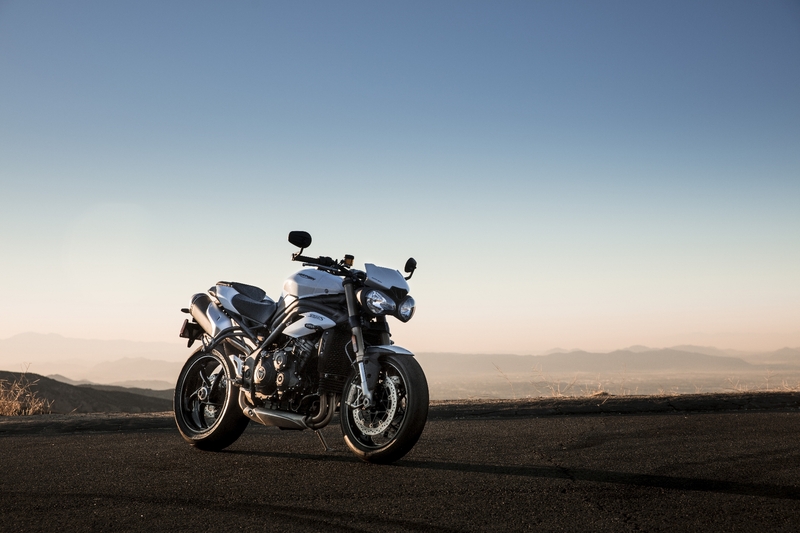 The Speed Triple RS also comes with an advanced inertial measurement unit that was co-developed with Continental. It constantly measures roll, pitch, yaw, lean angle, and acceleration rates responding accordingly with active safety features. Both new models get standard Brembo brakes, twin disc in front, single disc in back. They also both get fully adjustable suspension with the RS model getting an upgrade to Öhlins forks and rear monoshock. The single-sided swingarm and twin-spar aluminum frame are carried over from the previous generation. As far as styling, only the most devoted Triumph fans will notice a difference between the new ones and the previous Speed Triples. The most noticeable difference is the new exhaust and new high-gloss wheels. The new RS stands out a bit more than the S model thanks to carbon fiber bodywork, a matte aluminum rear subframe, a pillion seat cowl, and RS decals. While mostly unchanged aesthetically, both new bikes have a bit more of a premium look than their predecessors. 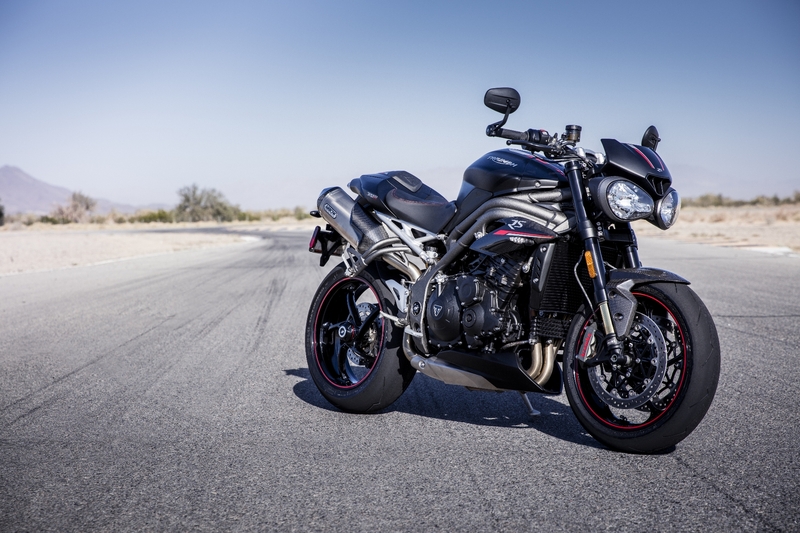 Triumph continues to be a leader in the increasingly competitive naked bike segment and these two revised Speed Triples are keeping things interesting. Keeping the bikes fresh even when they’re already pretty modern is admirable and it shows Triumph is serious about remaining an industry leader in performance and technology. 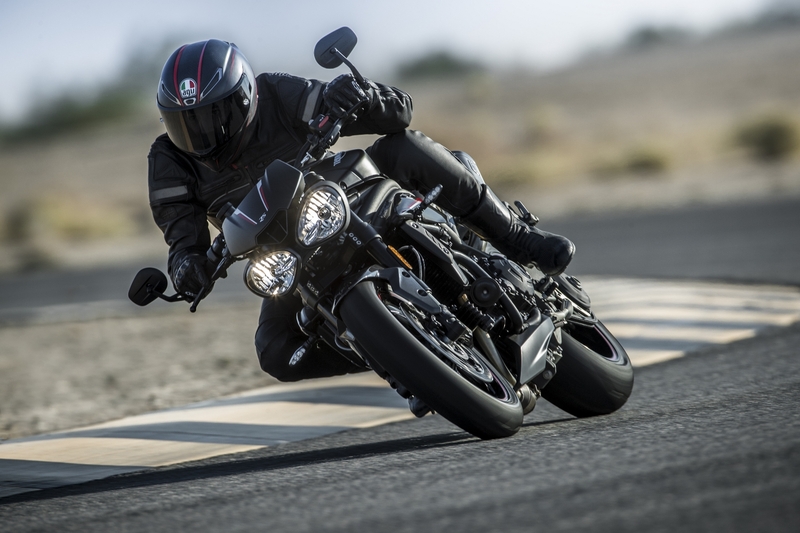 Check out the unveiling event in the video below to get a closer look at the new Triumph Speed Triple S and Speed Triple RS.